Scientific research on human DNA can be both alarming and important. When scientists first officially declared successful In Vitro Fertilization (IVF) back in the late 70s, it was considered a huge breakthrough. In fact, research on the field began around 50 years before that and was considered as controversial as it was significant. But IVF was only one part of the puzzle, albeit, a huge one. Today, the recent and successfully concluded editing of human embryos attempt is garnering a similar kind of attention, which is not entirely surprising because it signifies that we are one step closer to living among genetically modified humans. According to MIT Technology Review, a team of researchers in the United States have successfully created genetically modified embryos. The technique applied by biologists out of Portland, Oregon has been used previously by scientists in China, and although the research has yet to be published with all the details, MIT Technology Review reports that the team led by Shoukhrat Mitalipov, a biologist at Oregon Health and Science University, was able to change the DNA of a large number of one-cell embryos by using the CRISPR gene-editing technique, a revolutionary technology that allows for the altering of DNA, to remove genes at their early stage. Mitalipov, who was born in Kazakhstan, is no stranger in pushing scientific boundaries as he is already known for unveiling the world’s first cloned monkeys back in 2007 and creating human embryos for cloning in 2013. CRISPR has already been used extensively by scientists in China who have already published their reports on three other experimental research of editing human embryos. Their research said to have found that CRISPR caused editing errors and mosaicism, an adverse effect from the technique where the desired DNA changes were taken up only by some but not all the cells of an embryo. Scientists in the US could only watch in awe and envy with some level of alarm as the ethical debate over editing embryos prohibited them from performing their own. It wasn’t until now that a trial was conducted in the US, a move that coincides with a report by the U.S. National Academy of Sciences in February regarded by many as a green light for lab research. In a bid to find a better approach in using CRISPR technology, Mitalipov and his colleagues managed to overcome some difficulties they had encountered earlier by “getting in early” and injecting CRISPR into the eggs at the same time they were fertilized with sperm when the embryos are still just tiny clumps of cells invisible to the naked eye. Although MIT TR was not able to get any detailed information in terms of the disease genes that have been chosen for editing, a person close to the research said to the puclication that a large number of human IVF embryos were created for the experiment using donated sperm of men carrying inherited disease mutations. Of course, Mitalipov’s team is not one to disappoint, as they were said to have convincingly shown that it is possible to avoid both mosaicism and “off-target” effects, errors CRISPR is known for. Mitalipov and his team are believed to have broken the record for number of embryos experimented upon and as the first research team to ever conclusively demonstrate that it is possible to safely and efficiently correct defective genes. 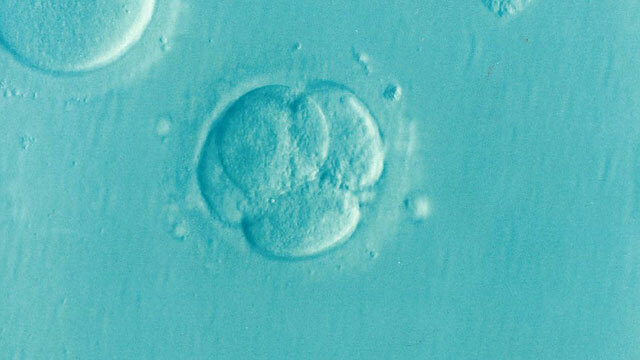 It is important to note that none of the embryos were allowed to develop for more than a few days but it doesn’t take away from the significance of the experiment which is an important milestone towards the goal of giving birth to the first genetically modified humans. There was never any intention of implanting the successfully altered embryos into a womb as scientists and lawmakers are still stuck in a moral conundrum on the issue. The application of this breakthrough poses a significant impact on humanity. For this very reason the Department of Health and Human Services’ funding bill saw it fit to specifically prevent any regulatory body from approving clinical trials that would allow an edited embryo to develop into a baby. That said however, the process of altering the DNA code of human embryos can correct genes that cause inherited diseases, like a blood condition known by the name of ‘beta-thalassemia’ which for those effected results in variable outcomes including severe anemia. Furthermore, by taking the solution to the genetic code itself, notes MIT TR, this will not only cure the disease on one patient but will essentially positively affect entire generations. The potential of CRISPR as a gene editing technology is undeniable and with each successful trial on human embryos making it more apparent that altering human DNA is now possible. There is no denying that the rest of the world views this success as a major breakthrough. While laws in the US are still apprehensive to the point that the U.S. intelligence community last year called CRISPR a potential “weapon of mass destruction,” there is no certainty that other scientists where there are no such legal restrictions wouldn’t try. In any case, the public will have to wait for Mitalipov’s team to publish the scientific paper on their experiment – the contents of which will determine exactly the scale of success they were able to achieve.